Dr. Mrs. R.S. Jayalakshmi a Vina teacher and performer had her training under Vina Vidvans Late Sri V.Raghavan and R.Pichumani Ayyar. She also learned some special compositions like Padam and Javali from Smt. T. Muktha. She has been performing Vina concerts in All India Radio and Television for several years. 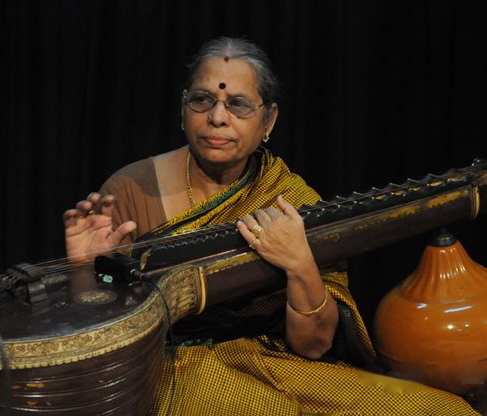 She worked as a faculty of the Department of Indian Music, University of Madras, from 1977 to 2004. Her M.Phil. dissertation entitled "Raga lakshanatthil Aarohanam - Avarohanam" (Tamizh) (Aarohanam-avarohanam as the characteristic of a RÃga) has been published as a book in December 1999. The subject of her Ph.D. thesis was "Subbarama Dikshitarin Sangita-sampradaya-pradasini-yil Vilakkappattulla Gamakangal" (Tamizh) (Gamakas explained in Sangita-sampradaya-pradarsini of Subbarama Diksitar™. She has also presented Research Papers and Lecture-Demonstrations at various conferences.